As Istanbul celebrates its liberation from the occupation of the Entente powers at the end of World War I nearly 94 years ago on Oct. 6, the city is also enjoying being one of the global centers for investment and tourism. Istanbul offers opportunities for investors, job-seekers and those who want to experience the city's air of multiculturalism. As part of ongoing renovations and innovative developments, the city recently added a new, unique institution. An office to facilitate the bureaucracy-laden investment process, the nascent Invest in Istanbul emerges as the first-of-its-kind in Turkey. In addition to allowing foreign investors seeking investments in Istanbul to conduct transactions directly, the institution also offers information for investors regarding expansive government incentives offered in miscellaneous sectors.Foreign businessman and Banco Sabadell of Spain in Turkey Chief Representative Vicente Balbin spoke about his experience with Invest in Istanbul: "It is unbelievable! I acquired a residence permit in just 10 minutes! Invest in Istanbul, where all the bureaucratic steps are handled directly via a single office without the need to visit another office, is entirely different from other investment promotion agencies [IPAs]." Invest in Istanbul, which opened in late June under the Istanbul Development Agency (İSTKA) with Prime Minister Binali Yıldırım in attendance, was established to address a very important question: "What is the biggest problem foreign investors face in Turkey?" This question triggered the idea to found the Istanbul investment office, according to İSTKA Secretary General Özgül Özkan Yavuz who sat down for an exclusive meeting with Daily Sabah. Citing İSTKA's exchange with international investors coming to Turkey and non-governmental organizations (NGOs) that have a strong rapport with those investors, such as the Foreign Economic Relations Board (DEİK), the Turkish Exporters' Assembly (TİM) and the Istanbul Chamber of Commerce (ICC), Yavuz recalled that foreign investors often complain about the intense, demanding bureaucratic procedures that force them to visit numerous public institutions to obtain the necessary permits and documents required to start a business or continue investments. Describing the unique feature of Invest in Istanbul, Yavuz highlighted that the office operates as a "one-stop-shop" for foreign investors. Invest in Istanbul accommodates all the institutions that a foreign investor that wants to make an investment in Istanbul must visit. These include, for instance, the Istanbul Chamber of Commerce, the Istanbul Chamber of Industry (ICI), the Social Security Institution, Istanbul tax offices, the Immigration Office and the Istanbul Metropolitan Municipality (İBB). Explaining the foundation process, Yavuz said, "We wanted to establish an institution while making sure that foreign investors can accomplish nearly 80 percent of the process of establishing an enterprise in Istanbul." She emphasized that the journey was not easy, noting that the preparatory phase required a tremendous amount of work as well as a number of simulation workshops in which all staff members engaged in repetitive practice to learn all the stages to be followed during a business start-up. Referring to the close cooperation with and support of the Investment Support and Promotion Agency of Turkey (ISPAT), Yavuz said, "The Investment Support and Promotion Agency works at the macro-level and provides consultancy for large-scale investment projects, introducing and promoting the investment climate in Turkey," pointing out that the scope of ISPAT's operation does not particularly focus on the delivery of the bureaucratic procedures at the documentation level. "Thus," she says, "We operate to complement and facilitate their activities by handling administrative procedures and complete the bureaucratic stages," citing ISPAT's pleasure with Invest in Istanbul. Regarding the aspects that differentiate Invest in Istanbul from other investment agencies, the institution's office defines itself on the official information note as an innovative one-stop-shop where the completion of bureaucratic steps includes direct submission of official documents free of charge, which distinguishes this brand-new organization from other investment promotion agencies. "This is an organization I have never heard of before. Setting up a business via a single office is a great idea. Moreover, Russian investors that contact us will be directed to Invest in Istanbul. 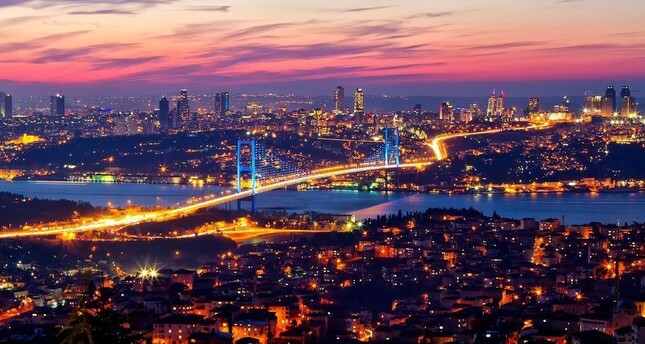 Since Invest in Istanbul is a governmental initiative, it is a great advantage for us and for investors, especially in terms of creditworthiness," Dmitry Evdokimov, the Russian deputy consul general in Istanbul said, describing the innovative nature of Invest in Istanbul and what it is really like to have a one-stop-shop for investment-starting procedures. Another convenience provided by Invest in Istanbul for international investors is the services freed from the language barrier. As is normal, all documents are prepared in Turkish. But the hard work of qualified staff members in translating the documents into English frees investors from finding a translator approved and accredited by a notary. In particular, İSTKA Secretary General Yavuz drew attention to this convenient service to better emphasize how Invest in Istanbul facilities alleviate the burden on foreign investors. "I have come to Turkey, which I consider a dreamland for history and culture lovers. However, since official documents were only in Turkish, I couldn't fill in the forms. Thanks to the Invest in Istanbul staff, they have already translated the application documents on behalf of all global investors who aim to invest in Istanbul," noted Egyptian businessman Nahed Garousha, the owner of Mermaid Yachting, who explained how Invest in Istanbul eases procedural restrictions on international investors. In addition to its unique, innovative quality, the timing of Invest in Istanbul is also highly appropriate, Yavuz emphatically stated when asked how previously accomplished and ongoing mega-scale infrastructure projects could boost the investment environment in Turkey's largest city, as well as how Invest in Istanbul could facilitate a quicker way of facilitating procedures. Key infrastructural projects such as the Yavuz Sultan Selim Bridge, the Eurasia Tunnel, the Istanbul Third Airport and the Istanbul International Finance Center were established to attract more foreign direct investment (FDI) to Turkey and Istanbul. Upon completion of projects that are still under construction and the appropriate development works, Invest in Istanbul hopes to enable investors to carry out the necessary documentary work with the utmost efficiency. "We will work hard and welcome all foreign investors to make them comfortable through all procedures to complete the bureaucratic stages," Yavuz said, stressing her belief that the mega-scale projects will further accelerate investment flow to both Istanbul and Turkey. When asked about the sectoral distribution of investors they welcome to Istanbul, Yavuz said that Invest in Istanbul is geared to investors wanting to start a business in trade, finance and services. "The difficulty faced in providing assistance to investors in the manufacturing sector in Istanbul is the lack of land. Since most land is already in use and organized industrial zones are almost operating at full capacity, we have difficulty offering land for facility construction in Istanbul," she said. The obstacle caused by the lack of land, however, is no obstacle for the continuance of investments at Invest in Istanbul. "We do not want to lose investors. So, we offer them investment areas where they can build factories or production facilities in another city," she said, citing Chinese investors who sought to establish a factory to manufacture components for power plants in Istanbul: "It was not possible to allocate land in Istanbul for that facility. Thus, we offered [Chinese investors] a location in an Anatolian city, but we helped them establish and register the company in Istanbul. So, Invest in Istanbul acts as a gateway to investments in Turkey," she explained, emphasizing the role of Invest in Istanbul as an entry point for making investments in Turkey. Accounting for 40 percent of Turkey's economy with a gross domestic product (GDP) of approximately $450 billion, Istanbul houses 378,161 companies and 32,295 firms with foreign capital, according to data provided by the ICC. This figure also constitutes 61 percent of companies that have international capital across Turkey. Istanbul is considered a hub for business thanks to its unique proximity to major metropoles within three to four hours' flight time across Europe, Asia and the Middle East. Acknowledged as the eighth most business-friendly destination among major European cities by FDI Magazine in 2016, Istanbul is also the sixth most attractive location for international retailers in Europe. Moreover, according to a ranking by the Brookings Institute, it is also the metropolitan area with the best economic performance since the financial depression in 2008. Ambitiously continuing to attract investments and boost its economy, Istanbul also aims to be regional headquarters for multinational companies. Istanbul is already home to the regional headquarters of 33 international companies, including Coca-Cola, PepsiCo, Visa, Intel, Unilever, Proctor & Gamble, Microsoft and many others, according to information obtained from the International Investors' Association (YASED), and the city strives to become a center for numerous sectorial operations, including logistics, services, finance and tourism. In this endeavor, of course, all state institutions work together in close collaboration. Invest in Istanbul office is committed to providing guidance regarding investment legislation and investments, offering sector-specific information, facilitating the business-starting process and offering networking opportunities. If this innovative project manages to sustain its success, Yavuz said, investment offices in other cities will also be opened. Therefore, Invest in Istanbul has a very vital responsibility as the role model for development agencies in other regions.